Thanks to Ralphie, we’ve learned more about wound care than we ever wanted to know. For months, we washed the wounds on his tail daily and applied every kind of dressing known to man. 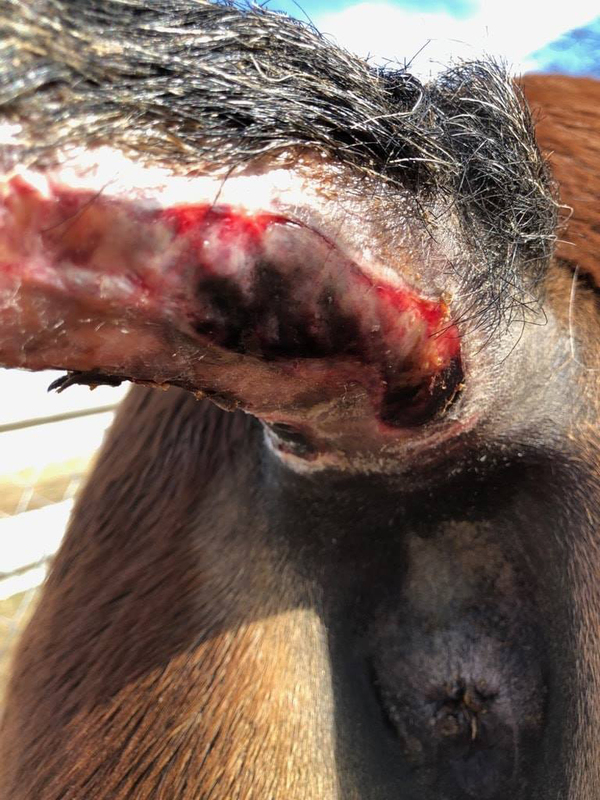 As soon as we thought we had the infection under control, we’d run out of his antibiotics, and it would take several days to get them compounded again, inflaming the infection and stalling healing. When Ralphie arrived at Swingin’ D just after Christmas 2017, he had a slope where his sacral vertebrae met his tailbone. You can see the freakish hump in the video to the left. 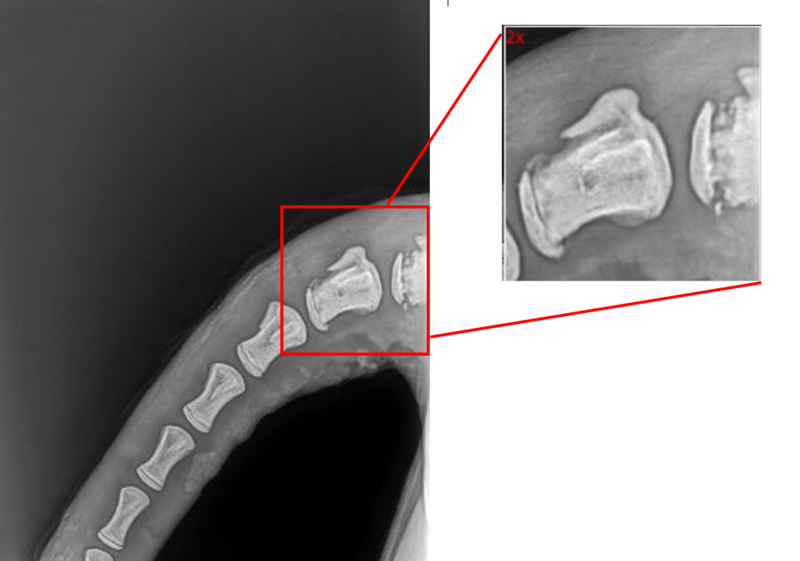 At first, the injury appeared to affect only the bones, and the vet said to keep an eye on it. Because Ralphie had been so badly abused and traumatized, he would not let anyone thoroughly examine him for weeks, so we were unable to see the lesions under his tail. His first several weeks (like many of the horses we save from the violent, inhumane slaughter pipeline) were filled with desensitization and feeding. 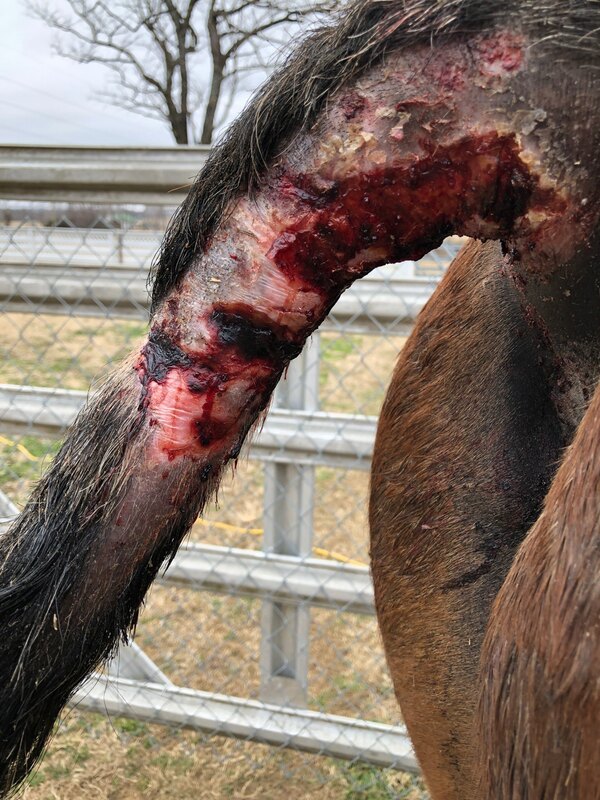 Once we were able to break down the walls from betrayal and abuse, we were able to see and begin treating his wounds. STAGE 1: HEMOSTASIS The body’s first response to injury is to stop the bleeding. Hemostasis is the process of blood clotting as platelets reach the wound site to start blocking the drainage. Ralphie went through the stages of healing multiple times before we got his infection under control. We cleaned and wrapped Ralphie's tail daily to protect it from additional infection. What we did not realize was the tight wrap we were using was cutting off essential circulation to the site, contributing to the development of necrotic tissue. Also, when the wrap crept down the tail and accumulated under the curve, it completely cut off circulation and formed new lesions and new opportunities for infection. Months after we first started treating Ralphie's tail wounds, and three weeks in to his second round of antibiotics, the vet grew concerned that Ralphie's body was trying to reject his tail. She feared the infection had struck bone. The table to the left is a quick tally of the over-the counter items we’ve purchased to treat Ralphie’s tail since November of last year. We’ve purchased the same items from multiple suppliers, but Amazon provides the easiest-to-access records. Below is a quick-and-dirty tally of veterinary and prescription expenses for Ralphie’s tail. Part of the mission of Swingin’ D Horse Rescue is to promote responsible horse ownership. We believe horse owners (and adopters) must be financially prepared to provide quality care when your horse is in distress. 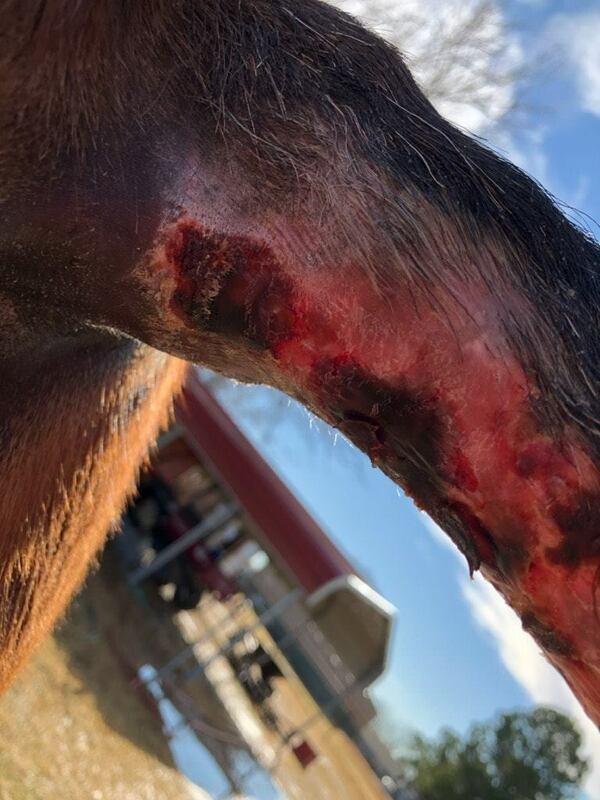 Maybe your horse will never have a tail injury that requires $3,000-worth of care, but what about hoof abscesses, EPM, unexpected injuries, or the whole host of other catastrophes a horse is bound to encounter? If Ralphie were in the hands of someone who couldn’t afford to pay for veterinarians, diagnostics, medications or supplies, would he be back on a kill lot instead of on his way to recovery today? Is that how he wound up on a kill lot in the first place? We can only speculate. Our experience, after saving dozens of horses from the slaughter pipeline, is that many come to us with health issues that require hundreds of dollars to fix – but they CAN BE FIXED. 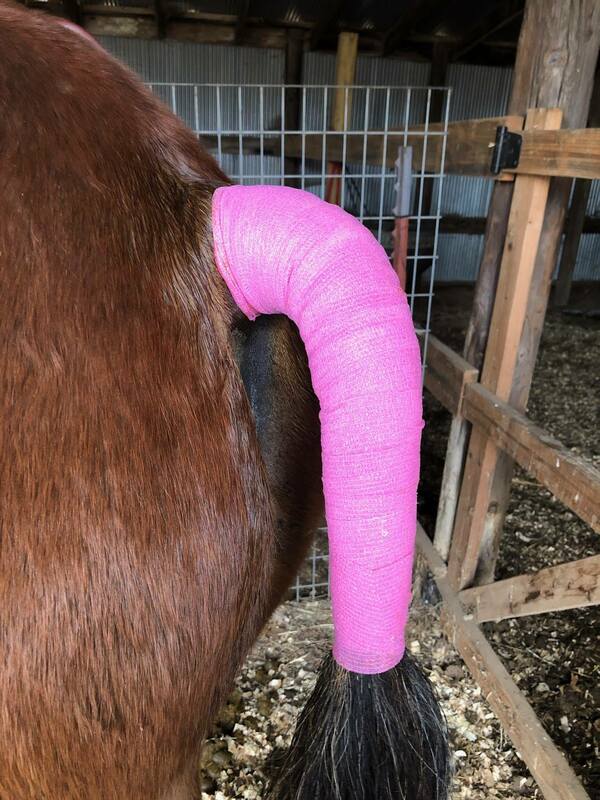 We have to wonder if their previous owners simply couldn’t afford to care for their horse, so they instead opted to pass the problem along to someone else. We share Ralphie’s story so that folks who are thinking about taking the leap into horse ownership will think long and hard about what you’ll do WHEN – not “if” – catastrophe strikes. You won’t be able to sell a sick or injured horse to anyone but a kill buyer, so what’s your plan for covering unexpected costs? The good news is, you don’t have to buy a horse to enjoy horses. Volunteer at a horse rescue. Lease a horse. Foster a rescued horse. There are myriad options that enable horse lovers to spend just as much time with a horse as you would if you owned it, but without the cost and headaches. Send us a message about Ralphie. Words of encouragement, tips for healing, questions about his care and treatment… simply fill out this form and we’ll get back to you!